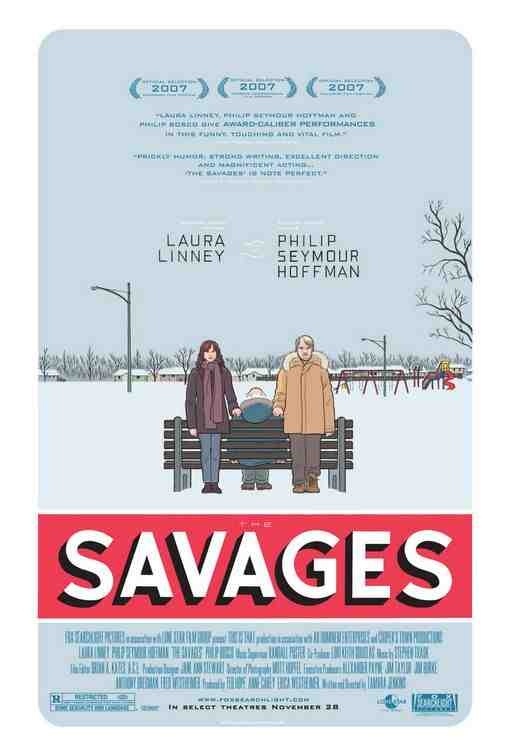 Starring: Philip Seymour Hoffman, Laura Linney, Philip Bosco, David Zayas, Peter Friedman. Having not experienced any of director Tamara Jenkins’ films before, I went into this film expecting something along the lines of “Little Miss Sunshine” in it’s supposedly humourous take on a dysfunctional family. That’s not what I got but there was still plenty to enjoy from the emotionally impaired characters. As their estranged father Lenny Savage (Philip Bosco) sinks into senility in an Arizona retirement village, Wendy (Laura Linney) and Jon (Philip Seymour Hoffman) are forced to figure out how to care for the dad who never cared for them. This is not a comedy as some of the critics would have you believe. Yes, there are moments of comedy but no more than the humour that accompanies life and it’s irony. This is a heartfelt drama, dealing with the painful responsibility that families face in our modern day, injected with humour and pathos and wonderfully acted by Linney and Hoffman – who are two of the best in the business. The relationship between the siblings is entirely believable. There is not a lot of communication between them but what’s not said, is just as important. There’s also not a lot going on in these peoples lives. They seem to think so but we are able to sit back and observe the avoidance they are trying to make. It also never fully discloses why the two of them have such contempt for their ailing father. It’s hinted that he never had much time for them but as the film draws to a close and Wendy’s creative writing and aspiration to be a successful playwright comes to fruition, a bit more is revealed as she uses her experiences as inspiration for her writing. A good family drama, dealing with the stuggles that are becoming ever more present in our current times, helped by subtle and very real performances. If you have the patience to invest, you’ll be rewarded. This entry was posted on January 10, 2012 at 3:24 pm and is filed under Drama with tags 2007. You can follow any responses to this entry through the RSS 2.0 feed. You can leave a response, or trackback from your own site.